San Jose, USA, January 8, 2019 – Lexar, a leading global brand of flash memory solutions, today announced the newest additions to its internal Solid-State Drive (SSD) portfolio with the release of its M.2 NM series; featuring a traditional SATA III (6Gb/s) SSD (NM200), plus more advanced solutions with NVMe™ performance (NM500, NM520, NM600) for entry-level to PC enthusiasts. As the demand for storage increases, so does the need for performance and speed to keep up with gaming and multimedia applications. 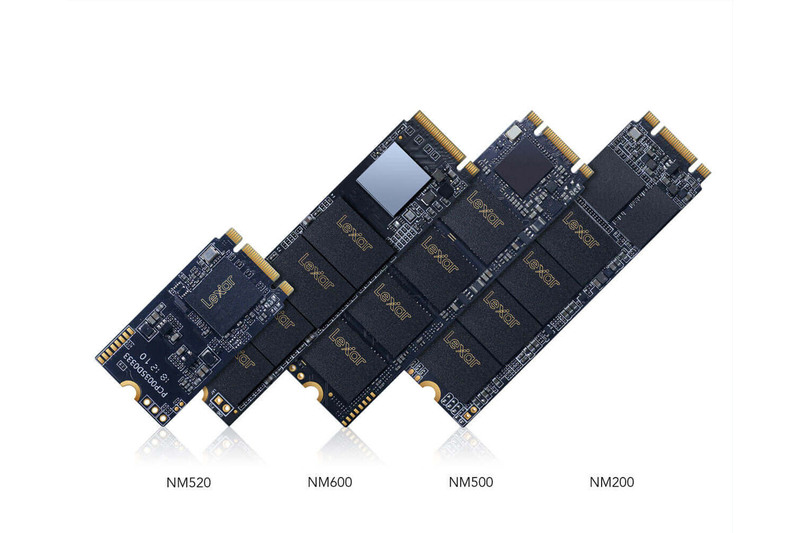 Supported by PCIe Gen 3×2 NVMe 1.2 technology, the NM500 and NM520 allow users to experience entry-level NVMe™ performance built with 3D NAND. Designed in two different form factors – the M.2 2280 (NM500) and the M.2 2242 (NM520), these SSDs comes with speeds 2.5x faster than a SATA SSD, giving your PC the ability to take on more and finish faster than ever with read speeds up to 1650MB/s*. All SSDs in the NM series feature SSD Dash management software to stay up to date with how the SSD is performing**. It makes it easy to monitor the drive’s performance, including drive health, drive condition, and firmware updates for smooth operation. * Read and write speeds based on internal testing. Actual performance may vary.